David Smith had the Spokane reliever pegged in this July 1989 game. His teammates, though, couldn't touch him. Bellingham's Smith took the first pitch the reliever threw and turned it into a double that scored one, according to The Spokane Chronicle. The reliever went on to go 2.1 innings, but didn't allow another hit. Smith hit that double in his first season as a pro. He ended up getting into just one other season. He never made AA. 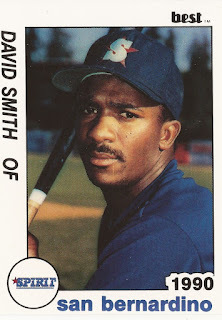 Smith's career began that year in 1989, taken by the Mariners in the 27th round out of the University of Louisiana at Lafayette. Smith started at short-season Bellingham. In 63 games, he hit .221. He also hit 10 doubles. 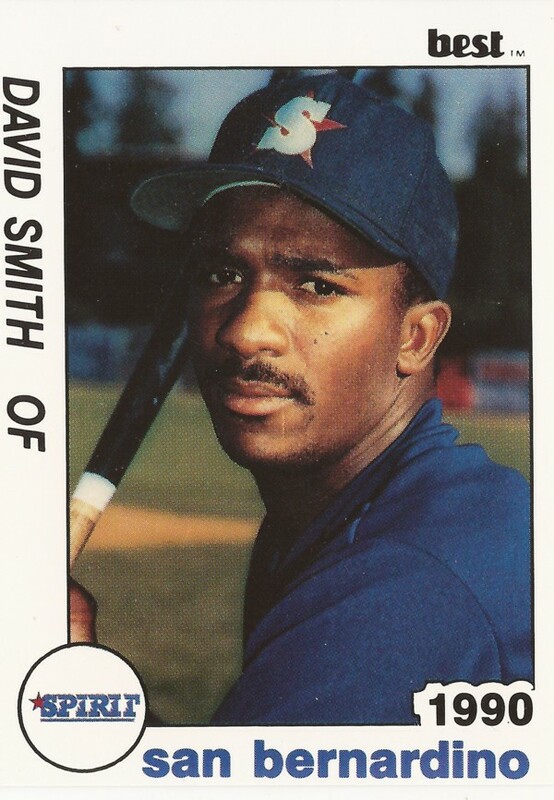 Smith moved to high-A San Bernardino for 1990. He hit .269 there, with four doubles, all over 54 games. It was the final season of his brief career.